Indus Valley Red Henna contains Certified Organic Henna leaves Powder (without using any pesticides, Chemical or Additives). It can be used on hair as well as on hands. As Henna is known for Hair Treatment, it also nourishes hair, treats dandruff, rejuvenates hair and brings natural shine to hair. It prevents pre-mature greying of hair. 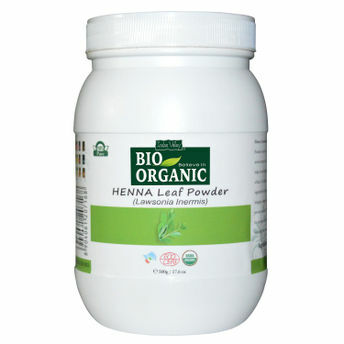 It is certified by USDA, Ecocert and India Organic.